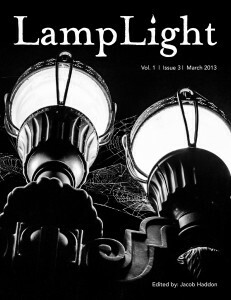 The March issue of LampLight is here. Ronald Malfi joins us as the featured artist for issue 3. We talk to him about his writing styles and how his experiences have inspired his work. 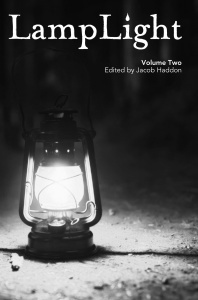 In our third installment of Shadows in the Attic, J.F. Gonzalez gives us a history of scary stories, taking us from pre-history through the Victorian age. Kevin Lucia brings us part 3 of his serial novella, And I Watered It With Tears. The Good Father – After his wife leaves him, a father copes with the emotions of raising his children on his own, but finds out there is a much darker burden to being a good father. And I watered it with Tears, Part 3 – In this third installment of Kevin Lucia’s serial novella, Andy and Deyquan have found themselves reluctant partners trying to keep the rest of the group calm. They learn more about each other and the dark forces that keep them trapped in the building, but not before it starts coming for them all. 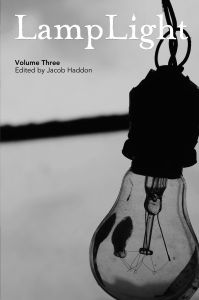 From the Stone Age to the Early Victorian Era, in 3000 Words – Take a historical trip with J.F. 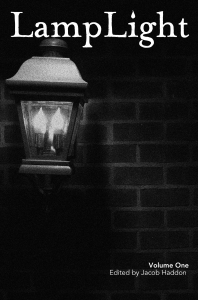 Gonzalez in this installment of Shadows of the Attic. Starting with the most ancient stories told around campfires, follow fear and the supernatural through literature into the 1800’s. Warning, you may want to clear some space on your bookshelves before reading. Currently available on Smashwords and Kindle, Nook, Kobo, iBooks and Sony. If you missed the first issue, it is available for free.